Welcome to Thorndon Security. We have rebuilt our website to help you find out more about our products and services. If you would like a free quotation please get in touch today. 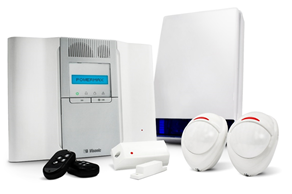 Protect your home or business with an Intruder alarm system. Thorndon Security offer a wide range of products to suit your needs. Monitor your premises with the latest HD CCTV systems. All of our HD CCTV systems offer remote viewing direct to your mobile devices. Welcome to the new THORNDON SECURITY website. Thorndon Security was formed in 1982 and has been successfully operating since then. We offer a wide range of security services throughout Essex, London and the home counties including Security in Chelmsford, Brentwood, Braintree, Billericay, Stock and surrounding areas. As a company we specialise in Intruder alarms, CCTV and Fire alarm systems. Thorndon Security provides services for commercial and domestic/home use. If you are looking to secure your home or business by adding CCTV, Intruder Alarms or Fire Alarms please contact Thorndon Security to find out how we can help. Thorndon Security was formed in 1982 and has been successfully operating since then. We first became a NSCIA Certificated Company in 1987, which was the forerunner of the NSI. We obtained the ISO 9002 Quality Assurance Certificate in 1993 and we are now a SSAIB Certified Installer. We offer our services in the South East of England covering London and all the Home Counties. As a company we pride ourselves on our workmanship and being able to meet the needs of our clients. Visonic Powermax Kit - includes control panel, 1 door contact 2 PET PIR detectors, external sounder and 2 remote setting fobs with built in panic buttons. FULLY INSTALLED FROM £345.00!! We are currently working on creating our Facebook and Google Plus pages. If you have any questions please get in touch today. Please enter the information from the image in the box below.